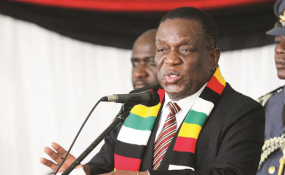 President Emmerson Mnangagwa said his government would weed out organisations that reportedly encouraged people to riot, among them doctors and lawyers. Harare — Civil society organisations in Zimbabwe have petitioned the African Union (AU) to intervene and resolve the crisis in the country after a strike over fuel increases left at least eight people dead. "It is our considered view that the country might be sliding into a state of emergency," Mahiya said. "We therefore call on the African Union to place Zimbabwe on the agenda of the consultation meeting," he stated on behalf of the coalition of civil society organisations. In October last year, the CiZC met with the Chairperson of the Southern African Development Community (SADC), Namibian President Hage Geingob, seeking the regional bloc' intervention in Zimbabwe following economic turmoil. Only Botswana has voiced its concern against the repressive government.